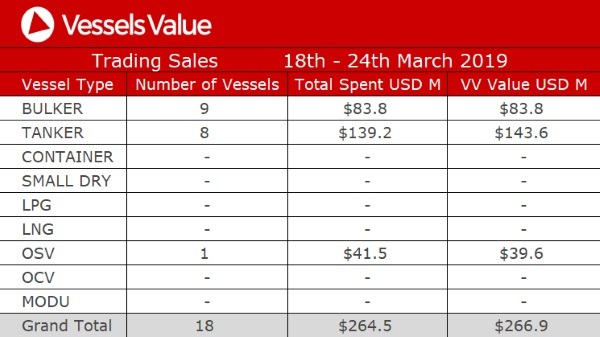 In the following table you will find the total ship sales for last week. The ships are broken down by vessel type with each of their corresponding sales number appearing to their right. Previous: AAL Executes Mission to Transport Pipe Racks to Port Guanta!